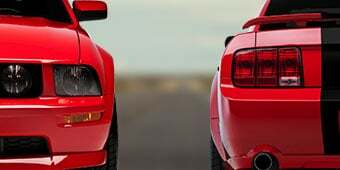 Please select options for KONI STR.T Front Strut (11-14 All, Excluding GT500) at the top of this page. Improves Handling Performance. Upgrade the suspension of your S197 Mustang with Koni STR.T Street Front struts for improved handling and performance. STR.T Struts are Koni's entry level performance line designed to be direct fit replacements for your factory struts and are compatible with both stock and aftermarket springs. Quaility Construction. Non-adjustable, this Koni STR.T Street Series front strut features a gas pressurized twin-tube design with a larger-diameter piston for optimum street performance. This strut is completed in a durable orange finish with the world-famous KONI logo. Application. This Koni STR.T Street Front Strut is designed for use on the 2011 to 2014 Ford Mustangs, including the V6, GT, and BOSS models. 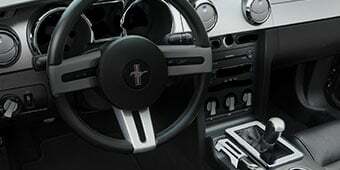 Does not fit Shelby GT500. Sold individually. 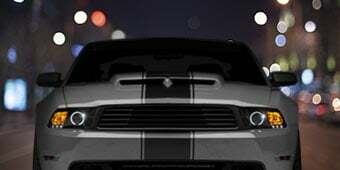 Does not fit Shelby GT500 models. Will these require the gt500 upper strut mounts? Or can I just put springs on them and roll? No you can use regular GT strut mounts. These struts can be used with stock strut mounts, however if you are using lowering springs you need the GT500 mounts. For best results and ride quality, we would suggest replacing both shocks and struts. 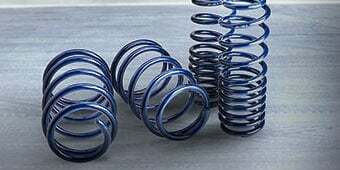 It is recommended that if you use aftermarket lowering springs with stock struts and shocks you should replace them at the latest a few months afterwards. So in the long term, will these and KONI shocks support cobra jet drag springs (well after the few months stock would hold up)? The KONI STR.T Front Strut will have no issues working with the Cobra Jet Springs and will not have their longevity effected. I have the track pack GT and think one of my stock strut mounts is bad. Will these work with the GT500 strut mounts you have on the site if i want to pair them? These would not work on the GT500 strut mounts. You will need Ford Performance struts for them to work. I recently picked up a 2012 GT with 60k miles and I'm considering lowering it. My budget it an issue and I wanted to replace the shocks and struts while I'm in there. I am thinking about a 1.5" drop all around and was wondering if I will sacrifice ride quality if I go with a non-adjustable strut such as this? 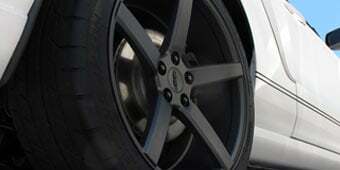 The KONI STR.T Front Struts will be a great to upgrade to when lowering your Mustang. You will not be required to upgrade your factory shocks and struts. It is recommend to upgrade shocks and struts because they will greatly improve ride quality for the lowered vehicles. The KONI STR.T Front Strut can be used with your setup and stock strut mounts. Yes, the KONI STR.T Front Strut (11-14 All; Excludes GT500) works on both driver and passenger side. You will not need to upgrade your strut mounts. Though, it is a good idea to get a set of the Ford Performance GT500 Style Strut Mount Upgrade (05-14 All), item # 50273, (http://www.americanmuscle.com/frpp-gt500-strutmount-0512.html). These Strut Mount will improve handling and performance while replacing your stock ones, which could potentially already have wear. It is a good idea to upgrade multiple suspension components when lowering a vehicle. We also recommend getting an alignment any time you change the suspension. This will help avoid any unnecessary wear on your tires. No. These are meant to work with the stock 11-14 strut mounts excluding the GT500. You need to direct this question to AM as I have a 3.7 with standard brakes. Good luck. No. Not the strut buy it self. No, struts and shocks do not have any affect on ride height - lowering is dictated by spring height. Installing these struts with your existing lowering springs will not make your car sit any lower. You might want to consider the GT500 strut mounts which are heavier duty than stock and meant to be used with lowering springs. I just installed with stock springs and it was the exact same height afterward. Yes, these will work with the H&R Super Sport Springs. They were never needed to my knowledge. 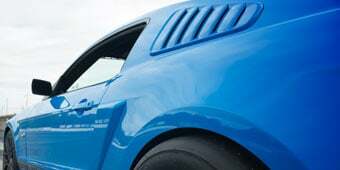 The GT500 mounts were only a good idea if you were lowering your car and wanted to avoid the popping noise made by the weaker original mounts. I myself went with some adjustable mounts from steeda. They are a bit more expensive but I considered it worth it. 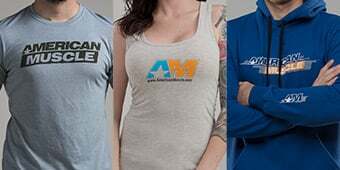 I'm surprised they aren't on AM's site. Correct, the stock GT mounts work just fine. Love KONI their products are always an easy install and ride great! Did a spring change and figured prob best to get rid of 80k mile shocks. These provided a comfortable ride and better handling having been paired with BMR springs. Almost think they are been a little more performance oriented though. Next time I’d probably opt for the adjustable versions. American muscle could do better with the shipping. One of the boxes was in really bad shape and the strut was really damage. I got I contact with them and they right away send me a replacement. Super easy to install. Great handling and feel. Great entry level suspension. Totally worth every penny. Super satisfied with my purchase. Easy install. Getting the car up on jack stands all 4 corners took longer. Installed with SR springs. An upgrade from stock set up for sure and no more 4x4 look. Will be purchasing 20” wheel/tire package next then alignment. 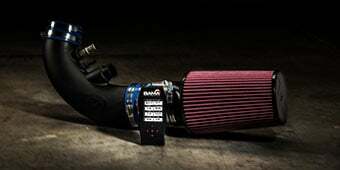 I want the look to match the Roush exhaust sound! Nice ride quality as well. I mean that. Very nice ride quality. I won’t track my GT therefore, coil overs or anything hi performance was not in my market. This setup is perfect for me and my spine is in agreement. If you’re not into the slammed look or if hi performance, track or drag is not your thing then pick up a set w/the springs of your choice. You’ll be pleased. Installed BMR lowering springs, then found out the strut mounts were bad, replaced the struts while I was at it. Now it's great on the highway, total control, and feels like new at 76k miles! I already had Koni shocks so I pretty much knew what to expect. Upon putting the struts on, I had two different struts so I was only able to put one on. So far with the three Koni products I have the ride seems pretty good it’s actually better than stock, I’m loving it. However I’m still waiting on that last strut it would have gotten five stars. I purchased this set of Koni STR.T front struts to replace my 2014 mustang v6 manufacture struts after lowering it with the Eibach springs and the feel and handling of the car is way much better now. The quality and the price of this item really satisfies the need and the installation only took me less than an hour and very happy about the fact that there’s an installation video, which is really helpful no doubt about it. I would recommend this Koni STR.T Struts to everybody and definitely would bug this product again if I need to in the future. If you don't want or need a strut that is adjustable (track use) but still want to eliminate body roll, this is a fantastic option. 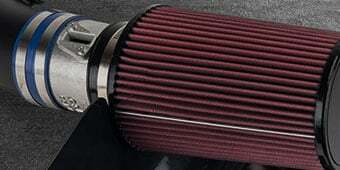 Ride quality improves (when paired with SR or Steeda springs) as well! Very satisfied. I like the way the car handles with these struts. Works great with my BBK lowering springs. Great product for the money. Fairly easy to install but beware of the mounts if not paying much close attention they come apart and then you added more time on the install trying to find the little balls from the bearing but after all that it is a great improvement over stock. Only reason i gave a 3 of 5 stars was the late shipping. I been buying parts from A.M. ever since I bought my first mustang and never had a problem until this purchase. It took about 4 days or so to send my package. It had something to do with Koni saying they were on back order or something and my order number had no updates so i was pretty much in the dark til I called. I'm not really the type of guy who complains over the little things but i have to say that I guess it is not really A.M fault but at least they could have emailed me or contacted me saying they were on back order or just not put n their site that they were in stock in the first place til they had their hands with more struts. I installed these last year and have the infamous squeak coming from the passenger front. Overall I'm very disappointed with these and recommend spending a little more money on a higher quality product. These were super easy to install, I put this with many other suspension mods... My 2012 GT has 170k miles and it was ready for a suspension rebuild. The car handles amazing now, however, there’s a creaking noise that comes randomly sometimes... not sure if it’s the strut or my sway bar. ALSO, the black plastic piece on top of the strut (blocks dirt maybe) completely broke off while driving. All in all, it was worth the money. If you're looking to replace a worn down oem strut, this will definitely put you in love with these struts! My oem struts were in their last moments and I needed to replace them asap, so I ordered these struts and received them within a few days, when I installed them (which only took around 2 hours for someone who's never messed with struts before) it was like having a brand new car! The ride is absolutely amazing and smooth (with factory springs, not as much, but you get the point) and I would definitely recommend to someone looking to replace an oem strut! I purchased Koni orange struts/shocks for my 2012 3.7 in the summer of 2016. In the SoCal canyons and daily driving these have performed amazing, especially for the price. Compared to my stock suspension (Non-performance package) the difference is night and day. Packaged together with SR springs and a BMR panhard rod the ride is solid. I can describe as firm and responsive without excessive stiffness. The rear end is planted well, the body roll is drastically reduced, and the horrible brake dive is gone. Daily driving is great and feels like a well sorted OEM car. If I had to do it again, I would splurge on the adjustable Koni yellows to dial-in the ride during aggressive cornering. 4-star rating based on their performance to value. 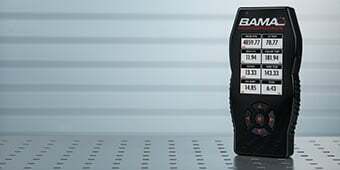 There are better shocks/struts but NOT at this price point.